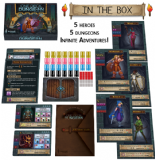 Adventure calls...but you don't have four hours or the desire to set up hundreds of pieces. 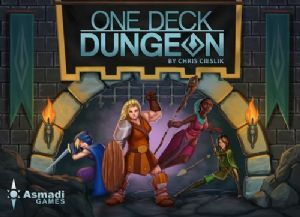 One Deck Dungeon lets you jump right in, bash down doors, roll dice, and squash baddies with style. 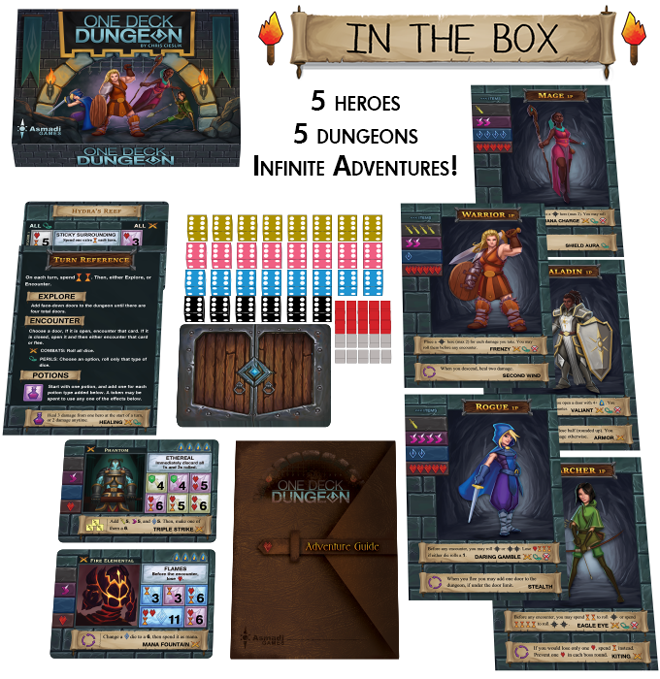 By using cards in four different ways (as an encounter, XP, a skill/potion, or a stat-boosting item), all the experience of dungeon delving has been fit into a compact package. You can venture in alone, or bring a friend. The dragon doesn't care, he's happy to eat both of you! And don't even think about trying to spare him, that's the wrong game entirely. 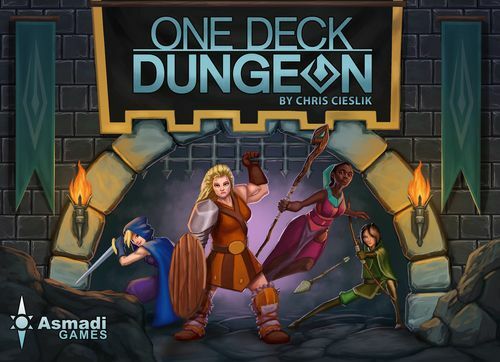 One Deck Dungeon is a 1-2 player cooperative game. With two sets, you can play with 4 players. Once you know your way around a dungeon, a game takes 30-45 minutes. It might take a little longer if you're learning, or a lot shorter if you jump into a pit of spikes. Warning: Do not jump into a pit of spikes.